Sephora and Pantone announced yesterday that they had partnered to create a SEPHORA + PANTONE UNIVERSE™ color collection that would launch in March 2012, and that the collection would contain products in the tangerine/orange color family. 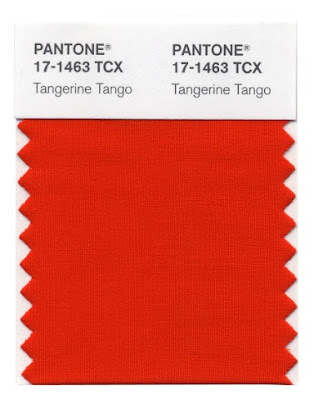 That gave me a pretty good idea what Pantone's Color of the Year would be for 2012, and this morning Pantone confirmed this by naming Tangerine Tango as the color that would influence fashion across the board next year. This partnership does allow for future collections and collaborations, so if you're a Pantone fan like I am, and a cosmetics junkie, this is exciting news! The inaugural limited edition collection will contain a range of products that include eye shadow, lipstick, lip gloss, nail polish and accessories. Pantone is the global leader on color, and has long been the authority who sets the standard for the fashion and design industry. Their Color of the Year typically starts the trends that are introduced each year in fashion and home design. I heard there is going to be a lot of orange in the spring..! I hope there's a lot of purple too. Great news! I love this kind of color and it looks good on me. The Sephora and Pantone collaboration is really exciting!! Oh that's really cool! Thanks for sharing this. I'm excited for the Sephora/Pantone collaboration, can't wait to see what other companies will do with this color! Not a color I normally would wear. I like this to use for the Fall season to decorate. I own quite a few polishes this shade. Guess I'll have to get used to wearing it.